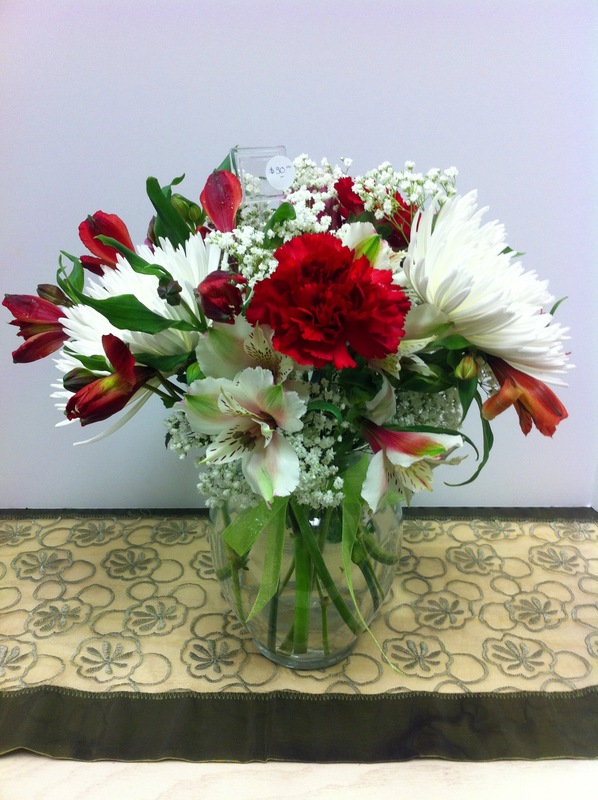 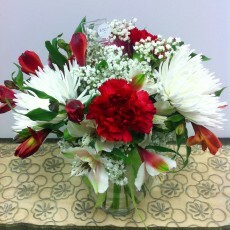 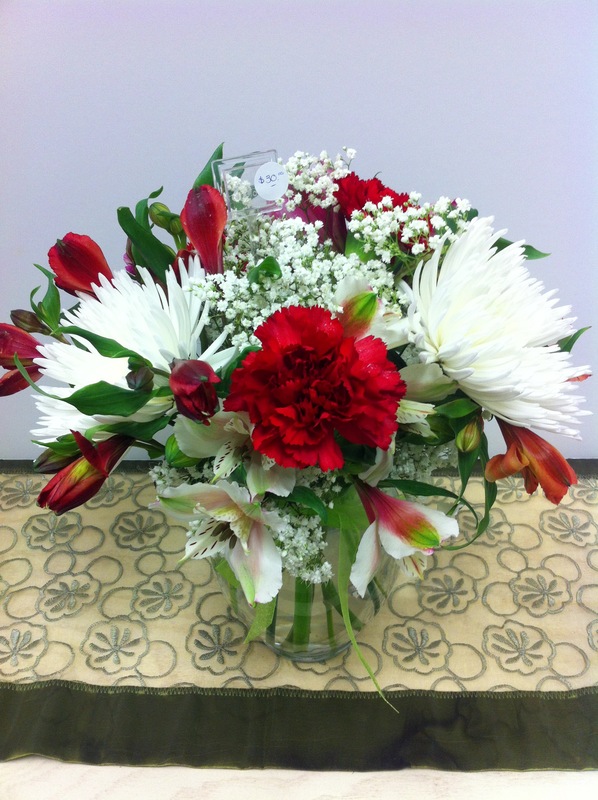 Red and white altroemaria, red carnations, white fuji mums, babies breath in a clear glass vase with chiffon bow. 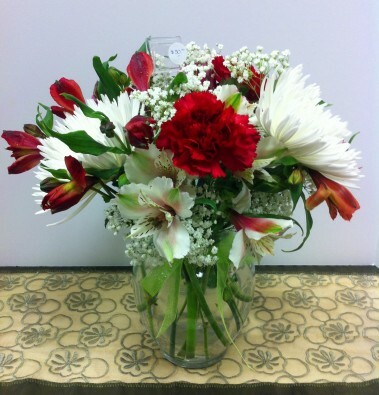 Medium and large size contain more stems. 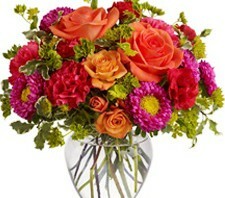 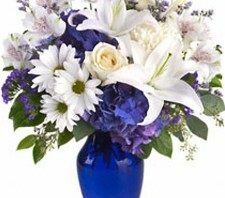 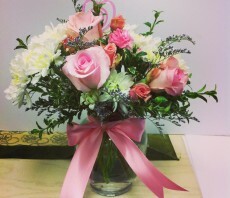 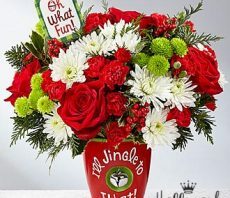 Arrangement will be as similar as possible based on flower availability and season.